Eighty-five-year-old Francis Teague hadn't told anyone about his life as a teenager during the 1940s in Monticello, Florida. There were secrets he kept from that time and hadn't revealed them to his parents, his wife, his daughter, and granddaughter for reasons known only to him. But when his granddaughter convinced him to tell her about his teenage years, he revealed things, things that were genuinely emotional, some painfully personal, some mysterious and highly revealing, yet some were utterly amusing and entertaining. But his granddaughter, Erica, was overwhelmed when she discovered a family secret. 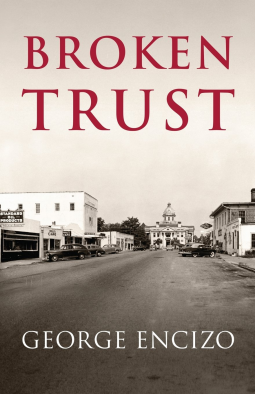 Broken Trust is available for purchase in print and ebook formats. A good read. It had some heart-filled moments, painful moments and some laugh out loud ones. I would highly recommend the book. The book was worth a second read.